U.S. companies are on pace to buy back more of their shares than they did during 2018's record binge, data shows, despite — or perhaps because of — mounting political opposition. Through March 15, American companies had bought $253 billion worth of their own stock, according to data compiled by Michael Schoonover, COO of asset manager Catalyst Funds. That total is about $18 billion more than at the same period last year, when company stock buybacks passed the previous record by hundreds of billions of dollars. Why it matters: Companies are continuing to choose buying back their stock to reduce the number of shares outstanding and boost prices over investing in long-term capital and labor expenditures. Last year, companies spent more buying back their own stock than on capex for the first time since 2008, according to Citigroup. The big picture: Massive buybacks are likely a major reason equity prices and bond prices are both moving higher, shedding their historically inverse relationship. The money companies are saving from tax cuts are turning almost directly into share buybacks, driving stocks higher. What's next? The impact of the Tax Cut and Jobs Act on the real economy is expected to recede this year, but Schoonover tells Axios he is expecting it to continue to boost stock buybacks for years to come, as companies have already shown that's how they will use the tax cut windfall. Further, as of September 2018, only $143 billion of the more than $2.5 trillion held overseas by U.S. companies had been repatriated to the U.S., which was a major part of the tax bill. "As this money comes back, we expect a lot of it to go into buybacks," Schoonover said. The bottom line: Last year was a wake-up call for companies that didn't turn their tax cut savings into buybacks and saw their share prices fall, Schoonover adds. Many have already shown they won't be making that mistake this year. Through the first quarter of 2019, a number of industries have already seen buybacks that are as much as 40% or more of their full year total for 2018. The energy sector has bought back shares that total 71% of last year's spend. "A number of industries didn’t participate as actively in buybacks last year. These industries have been a lot more active this year," Michael Schoonover, COO at Catalyst Funds tells Axios. "There are many traditionally large buyback announcers that didn’t announce last year — some possibly because of trade war concerns or the buyback political backlash — that may show up this year. Home Depot was one of them. They announced a $15 billion program this February." 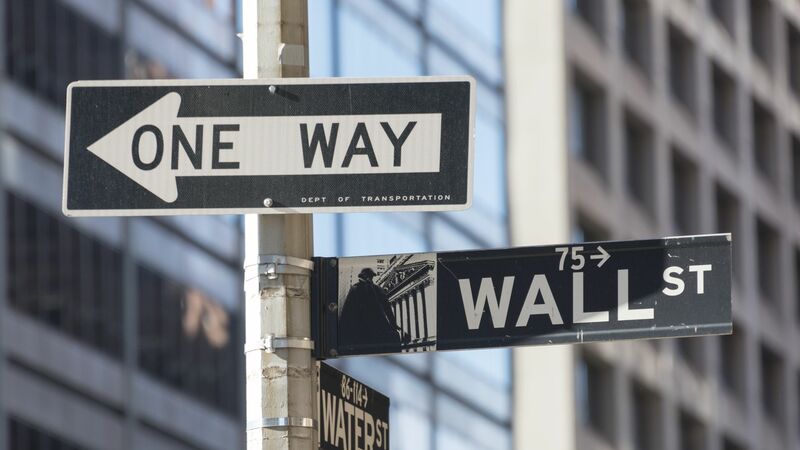 Today is the last trading day of the quarter and stocks around the globe have essentially recouped all losses from the final three months of 2018, Axios' Courtenay Brown writes. Existing home sales rose 11.8% in February, but buyers signed 1% fewer contracts for existing homes, month-over-month, and pending contracts were 4.9% lower than a year earlier. Source: Federal Reserve, National Bureau of Economics Research; Chart: Cambridge Global Payments. In addition to the inverted yield curve, there's another recession indicator Americans should be watching, analysts say. The value of corporate equities that households and non-profits own as a share of U.S. GDP fell from its highs at the end of the year. It dropped in the last quarter of 2018 as equity prices fell and households sold shares.